Add a little color to your home with these creative DIY projects starring paint, fabric, embellishments, and more. 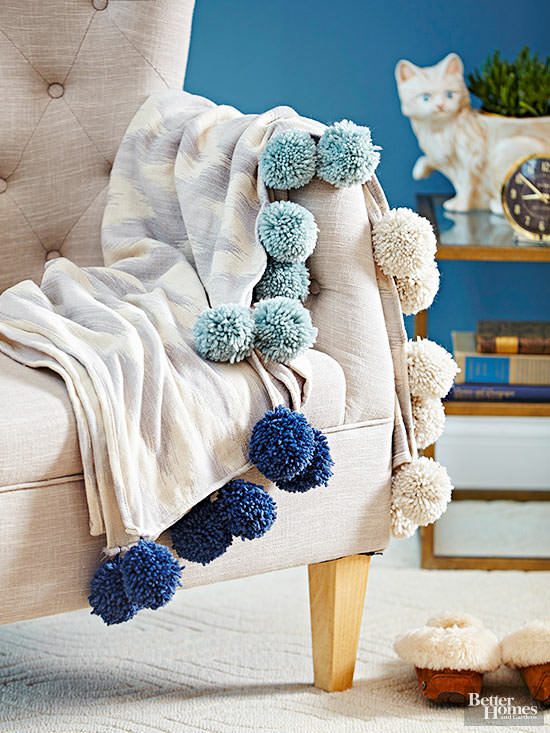 Make a stylish addition to a purchased throw by adding jumbo pom-poms to the edges. Use an extra-large pom-pom maker to make 4½-inch balls, leaving long tails when tying each one off. Pin the yarn tails along the edge of the throw, roll the hemmed edge to enclose the tails, and topstitch. A handwritten message trumps iMessage or Snapchat. Case in point? The coolest message board ever. It’s simply glass that’s been painted on the back and framed. Messages penned in dry-erase markers show up clearly and erase easily. Sometimes a little color can work wonders for a worn out piece. The shape of this mirror was eye-catching, but the wood was in poor shape. Primer and two coats of latex paint brought out the best in the piece. 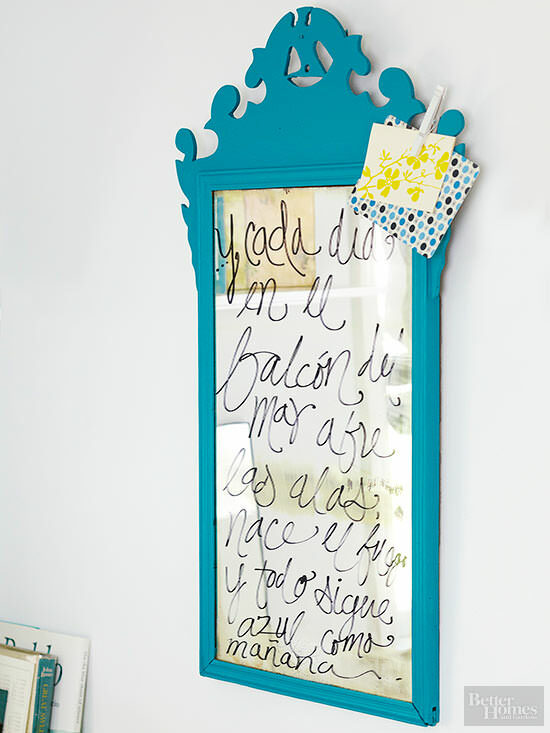 A quote, scrolled on with a paint pen, transforms the aging mirror into a piece of art.